Hitting the halfway point of their ‘Stoned On Both Coasts Tour” on May 26th with a blazing set at the Stoned To Death 3 Fest in Vermont [PHOTOS HERE], American Weed Rockers Wasted Theory sneaked into the studio in between performances to complete a new record. The Mid-Atlantic heavy foursome leaps forward with Italy’s Argonauta Records to reveal the details about their third full-length album, Warlords of the New Electric. 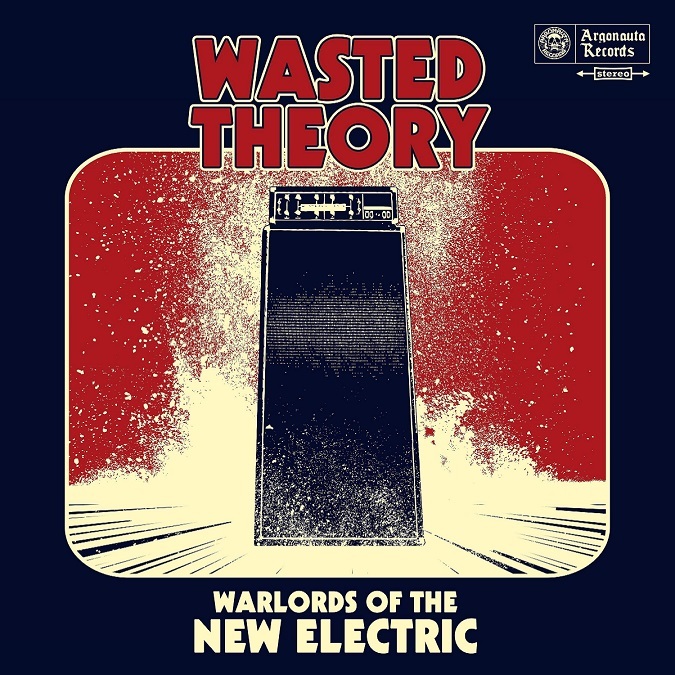 Their second release with Argonauta Records, after the ‘2017 edition’ CD re-release of Defenders of the Riff, this new Wasted Theory displays a disturbingly sober vision of slammed down, heavy rock invaders. Just completed this Spring (April/May 2018), Warlords of the New Electric was recorded, engineered, and mixed by Joseph Boldizar (Ruby The Hatchet, Ecstatic Vision, The Age of Truth) at Retro City Studios in Philadelphia, PA. Album cover artwork and design by Bill Kole of Billy Diablo Design Services. Argonauta plans to unleash Warlords of the New Electric on the world in October 2018. The eight song, full album hammer strike will include Vinyl and CD formats, with Digital Download and Streaming through most major outlets available simultaneously to the physical release. Pre-order information and links are forthcoming. Their ‘Stoned On Both Coasts Tour’ resumes TONIGHT in Pennsylvania, check out the dates and tour poster info below. Who knows, maybe they’ll include some new tracks in their live set! “When we set out to write ‘Warlords of the New Electric’ we wanted to take the energy and enthusiasm of ‘Defenders of the Riff” and develop those vibes even further. In our opinion, this is the perfect companion to the last album. We didn’t want to put out the stereotypical third album where we start getting all experimental and bizarre. So, we did the exact opposite – we took our gritty rock n’ roll origins and pushed them even heavier into the material. While we wait for the new record, ‘Defenders Of The Riff – 2017′ is available on CD via Argonauta Records and Amazon (w/digital download), as well as Digital streaming on Bandcamp, iTunes, Spotify. Stayed tuned here for pre-order info on Warlords of the New Electric coming soon!